Am not doing anything much nowadays and time passes very slow. 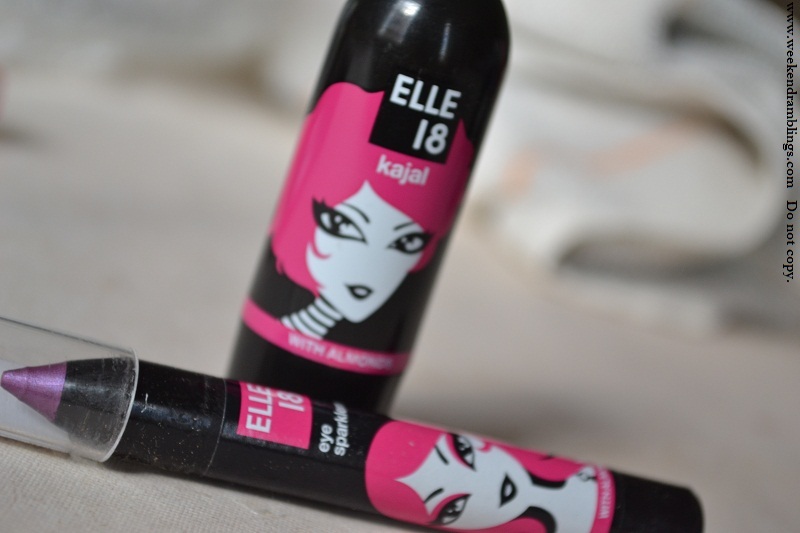 For lack of anything better to do, I thought of trying out the Elle18 Purple eyeliner. I used the Elle18 Purple all over the lid. Then, gave it a slight dusting of black eyeshadow to set it - more in the outer corner and the rest dusted towards the inner corner. 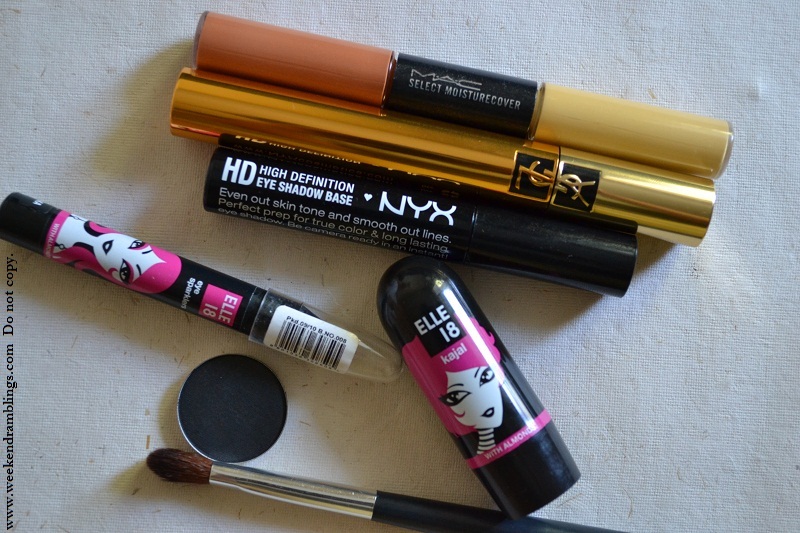 Kajal on the waterline and mascara. 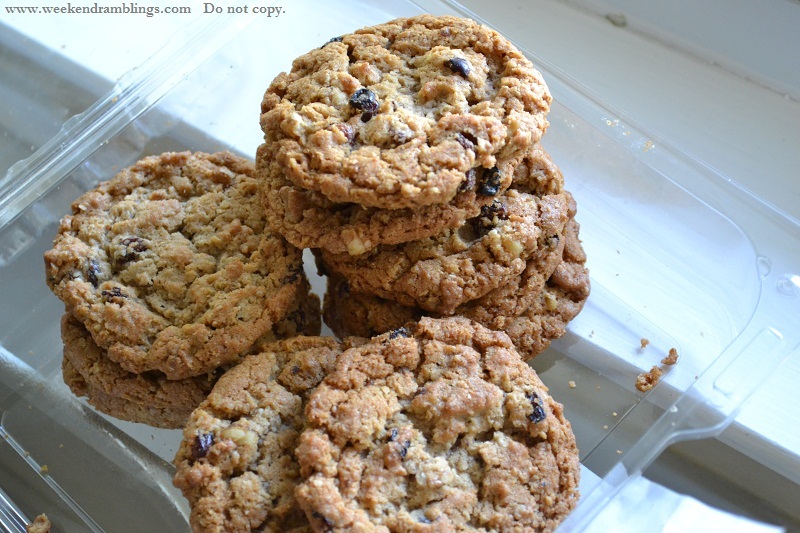 The labels says these are chocolate chip cookies but they seem more like oatmeal-raisin. Would you consider a ban on food or food related articles on your blog.It is a sincere request from an angelic reader. looks so elegant on u ! i saw it some where but the tip of the pencil was ruined in the dabba so i did not buy it ! your blog wont publish my comments till i try 10 times... when i make a spelling mistake ... immediately it will publish .. sad life i have ! Hey Rads, It's a nice color. You are more into pinks & purples na? i kept thinking next week next week...and keep putting it off...finallllly i put yesterday...I LOUUUUU them...no wonder they are expensive ...like i remember u all were telling naaa they hiked pricesss...its so damn good...that is why is costlier! they'd dry radhika.. use themm..
Heheee ignring the cookies :P :P Oh you moved to Bangalore...thats nice...working? radsssssssssssssssss.... :D :D :D what u doing ?? :D :D nothing imp.. just generally .. its been a while since we chit chatted :P .. hows the new place treating you ? ?